Elation is set to show its whole range of lighting products at Prolight + Sound show 2014, Frankfurt, Hall 11D68. Find a short overview on elation's top 4 products for Prolight + Sound below. Featuring the new 1,500-hour Platinum MSD 16R lamp from Philips (330W, 16,000 lumens), the versatile moving head Platinum Wash 16R Pro functions as both a beam and wash luminaire. It offers features such as CMY colour mixing plus fixed colours, 6.5-48° motorized zoom, beam shaper, shutter/dimmer and has an EWDMX receiver built in. Compact yet powerful, output is comparable to 1,000 watt units but in a smaller, more energy efficient design. The Platinum Profile 35 Pro is a full-featured professional lighting fixture with flexible framing system. 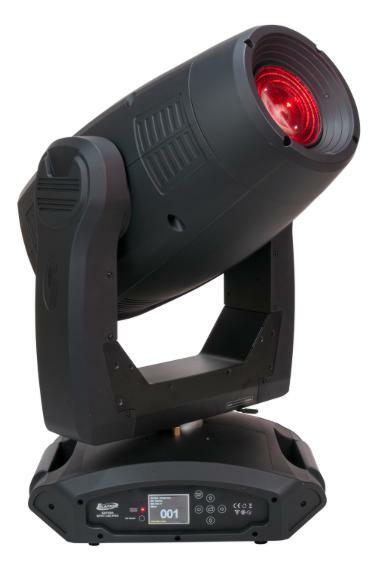 Powered by the new Platinum 35 MSR lamp from Philips (800W), this moving head profile features a rotating 4-blade framing system that allows for full control of the beam shape and delivers an output comparable to 1,200-watt moving head profile MSR fixtures. Features include a high-quality optical system, 8°-50° motorized zoom, CMY colour mixing system with variable CTO, static colour wheel with 8 interchangeable dichroic colours, two gobo wheels plus 160° animation effect and more. The small, fast and precise moving head Rayzor Beam 2R features the Platinum MSD 2R 132W lamp yet is powerful enough to work alongside larger fixtures. It houses static colours and gobos, as well as a rotating prism and shutter/dimmer. With an average lamp life of 6,000 hours in an energy efficient package, it is suitable for both installations and productions. The 300W Satura Spot LED Pro moving head is as bright as a traditional 575W discharge fixture yet consumes half as much energy and its long-life LED engine lasts on average 80 times longer than a 575W discharge source. Designed as a viable replacement option for conventional discharge spot fixtures, its beam, its spectrum of saturated colours, its graphics options are some of the Satura Spot LED Pro's highlights.